SUCCESS IN A LANGUAGE-HISTORY COMPETITION ! After the first round held on 4th April , now it was the time for the final round in A Language -History Competition, First Edition. Four of our students, who were the best ones, represented Kopernik High School on 3rd June (Julia Jureńczyk, Agata Kwiecień, Gabriela Kostrzewa and Patrycja Korzeniec). Representatives from Junior High Schools were the first ones and than it was the time to show our best! It was a stressful experience, no doubt. They had to answer the questions and do all the tasks in public, as some of the first and second year students and other participants were observing them. The main theme of the competition was the history of The United Kingdom and The USA . First, the competitors were to identify the historical figures from the photos. Then, it was the time for vocabulary tasks, like providing the words for given definitions. Next, they had to answer some questions or identify even more figures – the most difficult tasks! The questions and different tasks were both in Polish and English, so were the students’ answers. All of our representatives ( including Julia Jureńczyk and Agata Kwiecień) did everything to do well in the competition. I can honestly say I was proud of them all ! CONGRATULATIONS !!! Have a quick look at some photos from the competition, taken by Paulina Soboniak ( a student from 2b, Słowacki High School) and Mrs Marzena Kossak. 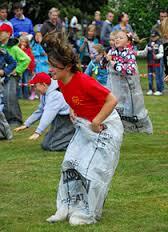 Children’s Day, although in the UK less well-known, very pompously celebrated by the British Polonia. Every year, the first in June, all children of the world can feel special. On this day in many schools are organized trips, sports days and fetes. Parents take their children to the zoo, amusement park and ice cream. Many venues have a special offer for children and parents do not spare children attractions. News prepared by Klaudia Małasiewicz from 2f.